Being a 4 star luxury hotel in Gangtok, Summit Namnang offers a stunning view of the Gangtok city and a luxuriate feeling of a holiday amidst the majestic mountains, providing an unforgettable experience to engage your senses. Summit Namnang Courtyard & Spa offers amenities like Car parking, 24 hours service, a purpose-built unroofed area to experience the beauty of the hills, under the wide starry sky while a large outdoor fire is arranged in the courtyard to beat the cold winter nights in Gangtok. Conference Hall, Security Guard, Doorman, Room Service, Travel Counter, Family/Child Friendly, Internet/Wi-Fi, Doctor on Call, Catering, Airport Transportation. Cable/Satellite TV, Room Heater, Attached Bathroom, DVD Player, Air Conditioning Room, Toothbrush/Razor on Request, Internet Access, Iron/Ironing Board, Electronic/Magnetic Keys, Bottled Water in Room. 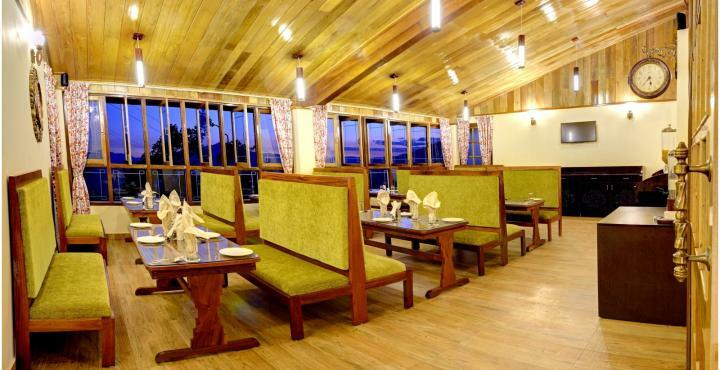 User reviews for "Summit Namnang Courtyard Hotel And Spa Gangtok"